Check Growth MD's top tips for setting up and maintaining a file and Chart of Accounts specific to Medical Practices. Setting up a Chart of Accounts that enables you to accurately classify income and expenses and report on profitability is key. Medical practices have specific income, expenses and liabilities which need to be classified correctly. And you won’t find these accounts in the standard Chart that comes with your software. 2. Whose income is it? When devising the Chart of Accounts you will need to consider how to account for income of the practice. Too often patient fees are reported in the incorrect manner and shown as top line income of the practice. Some have the view that it is “no big deal” to report income of all practitioners (including non-employees or owners) in top line revenue. The rationale is that the inclusion of a corresponding expense taken up when net billings are physically paid essentially arrives at the same final profit result. We (Surgical Partners and Growth MD) do not support this view, as reporting income that does not belong to the practice as revenue has the potential to cause issues around payroll tax, GST, superannuation, small business concessions and employment entitlements. Income collected under agreement on behalf of practitioners but not yet paid needs to be quarantined to a clearing account (or multiple clearing accounts) until payment is made to the doctor. Keep these accounts for the sole use of parking patient fees that have been collected by you on behalf of practitioners. Don’t mix other transactions, loans or adjustments in this account! Even better, investigate using a tool such as Surgical Partners which will integrate with your Xero file and PMS to automate this process. 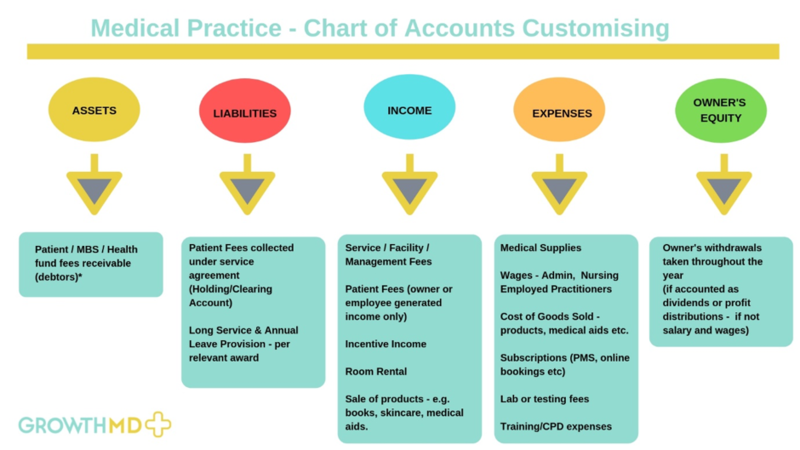 Is your practice accounting on an accruals method or cash method? Is your GST reporting method (as required by the ATO), via the cash or accruals system? The way in which you report for accounting and GST purposes is going to impact on how your Chart of Accounts is set up. Many practices sell goods – skincare products, medical aids, educational materials and even food. Therefore, your Chart of Accounts needs to be set up to account for the purchase, and in some cases, the tracking of these goods. Just because these sales may not be your main income source does not mean that you do not need to account and report for these goods with any less care. At the very least you need to easily identify the profit these lines are generating at any point in time. Having your Chart of Accounts set up correctly won’t help you if your data is not clean and maintained. Regular reconciliations as well as reviewing Profit and Loss and Balance Sheets to ensure quality and consistency of input is key. Ensure old accounts are archived to avoid accidental miscoding and lock dates are utilized to limit access to prior periods. Always remember the old saying ‘rubbish in – rubbish out’. Take the time to set up and review your file and Chart of Accounts for successful and accurate reporting in your practice. Want to know more about getting maximum benefit from your practice Xero file or other accounting software? Contact Kelly Chard on kelly@growth-md.com or 0417 722623. 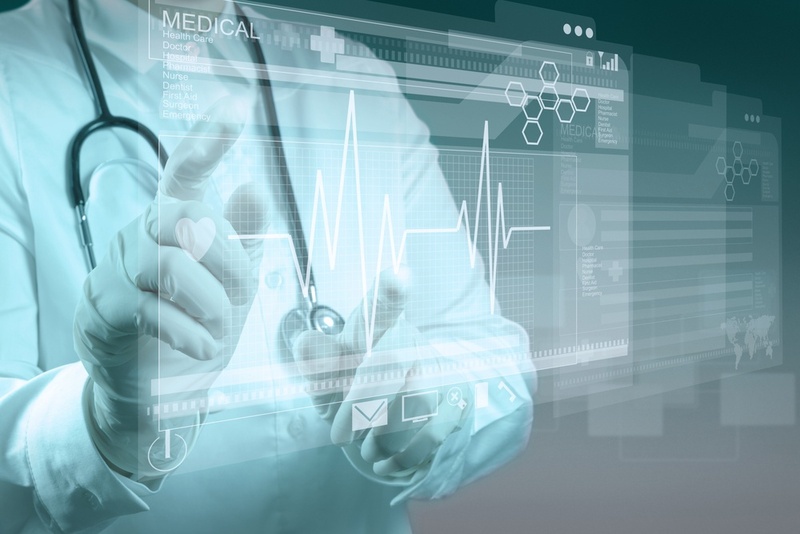 For information about how you can increase medical practice efficiency by implementing workflow management software into your daily processes today, please book a meeting using the link below.